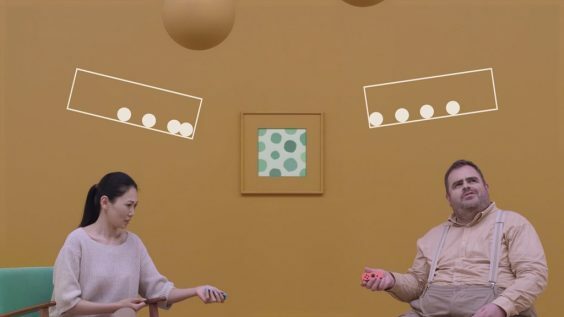 Outside of a few interesting ideas and some cool demonstrations of the Joy-Con controllers' HD rumble capabilities, 1-2 Switch's shallow collection of minigames has little to offer. The bizarre actors of the cringe-inducing live-action video demonstrations looked like they were having fun, but I certainly wasn't. 1-2 Switch is one of those games that looks as though it’s really fun to play, but doesn’t quite meet your expectations once you pick up the controller. Announced during the Switch presentation earlier this year, the game’s early footage intrigued me — in that it largely focused on the people holding the controllers rather than the game’s graphics itself. As we found out later, that’s because the vast majority of the minigames don’t involve many graphics at all; instead, they encourage people to look each other in the eyes as they each use the motion-sensing capabilities of the Joy-Con. And after seeing and hearing about people milking virtual cows, I was all prepared to have a wild time with Nintendo’s latest wacky collection of little games. Needless to say, that’s not what ended up happening. Since the vast majority of 1-2 Switch‘s minigames require more than one player, I rounded up my husband one morning and forced him to play with me. The first thing I’ll say about the game is that it makes… quite the first impression. As I said before, the gameplay here encourages people to be looking at each other rather than at a screen. As a result, the majority of the visuals you’re hit with immediately are the mandatory live-action tutorials you have to view before you can get started in any of the minigames. And boy… the people in these minigames are enthusiastic, to say the least. Have you ever been incredibly sick and flipped past a children’s television show, only to be hypnotized by its freakish fever-dream sensibilities? That’s sort of how I felt about these demonstrations, albeit with the unfortunate addition of self-awareness — which left me vulnerable to cringing. Which I did. A lot. I don’t mean to be a curmudgeon, of course. I did try to get into the silly spirit in which these games should be enjoyed, as did my husband. But as we played game after game in the collection of 28, it became increasingly clear just how little depth there is to any of it. We’d pull up something that sounded interesting, play it once or twice, and feel like we’d have our fill. Sure, there were laughs along the way, but I feel like they were more of the uneasy sort — the kind usually followed by thoughts of “Why are we doing this again?” and “Man, this is weird.” Overall, the best point of comparison I can think of is Game & Wario, which was a similar collection early in the life of Wii U that left me feeling just about as confused and empty. That’s not to say there aren’t any good ideas here at all… just that they’re few and far between, and not brought to their full potential. 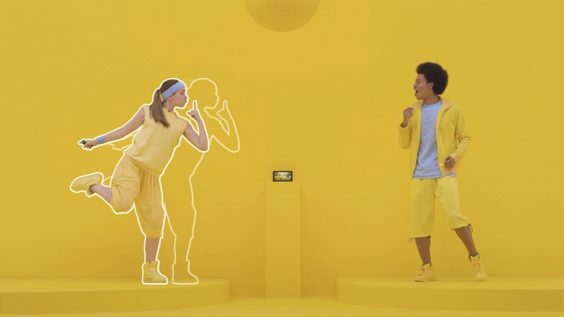 Rather like I described the Switch console itself in my review, 1-2 Switch feels like an interesting idea for a party game that was just never fleshed out enough to be truly compelling. Take one of the Joy-Con controllers’ most-touted features, for example: “HD rumble,” which gives more detailed and intricate feedback than your average haptic feedback. And indeed, while it’s pretty cool to use the controllers to feel the pressure built up by shaking a soda, or the crack of a bat as it meets a baseball, it’s a pretty sad indicator of this collection’s quality that the best application of this feature game-wise is in a game where you slide your Joy-Con back and forth to guess how many imaginary balls are inside it. What else is on offer here? Well, how about a game where you pop the console out into portable mode, watch as a horrifying baby face begins to wail on it, then rock it back and forth in an attempt to put it to sleep? Or another where you waggle your controller nonsensically to participate in a ripoff of those Harry Potter back-and-forth wand battles? The more you play, the more you realize that 28 number isn’t particularly high when so many of these games seem like they didn’t have such great ideas behind them in the first place. Plus, I have to say there’s some confusion in the game’s ideas — I think it would have been better to go all-out with the idea of having players not look at the screen instead of having just a few that require it (like the aforementioned Baby game and a very simplistic Treasure game that sees you twisting your controller to unchain a chest of pirate’s booty). I really wanted to enjoy some silly fun with 1-2 Switch, but the games are too shallow and short-lived to have any lasting appeal. As I said in my reviews of the Switch console itself and The Legend of Zelda: Breath of the Wild, I’m more than happy to see Nintendo trying new things as they enter a new console generation, but this particular minigame collection feels like a cautionary tale about what happens when developers don’t fully commit to their new and unusual ideas. 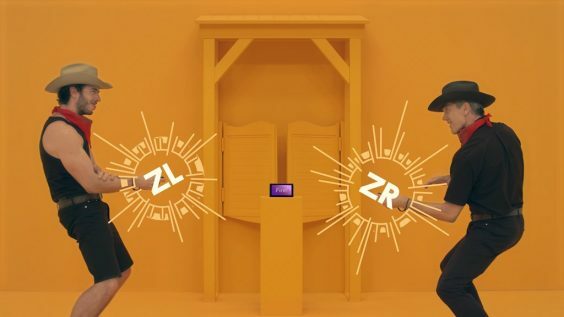 Without really fleshing the individual projects out beyond what feel like tech demos you’d see at a convention, 1-2 Switch is little more than a curiosity. And honestly, I feel the price of $49.99 USD/64.99 CAD is going to kill off most people’s curiosity before they even have a chance to engage it. This review is based on the Nintendo Switch exclusive, which we were provided with.